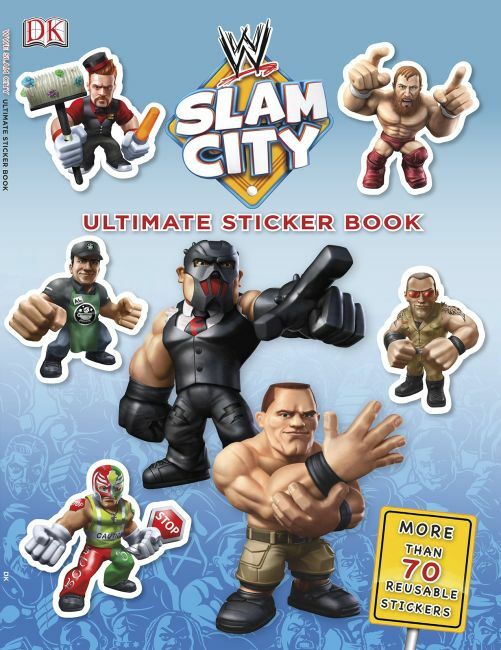 Take a firsthand tour of Slam City, the brand new, Superstar-packed animated series from WWE, in this vibrant sticker collection from DK/BradyGames! This fun and vivid sticker book provides hours of entertainment with WWE Superstars John Cena, CM Punk, Kane, Alberto Del Rio, Sheamus, Rey Mysterio, Mark Henry, and more! This sticker collection packs Slam City's small-town, big-brawls excitement into one incredible book.